Until the 1990’s the functions of grading and training of umpires vested with the CCA. This had the effect of disenfranchising the many umpires not living in the Christchurch metropolitan area. The Canterbury Regional Cricket Umpires and Scorers Association was established in 1992 with delegates from each District attending regular meetings throughout the year. This association holds all functions of a regional nature. These include the administering of the training grading and examination regimes of the New Zealand Cricket Umpires association and the nomination of umpires for matches under the jurisdiction of New Zealand Cricket. The CRCUSA has an umpire exchange program with the Victoria CUA, Central Districts CUA and Otago CUA. This gives umpires the opportunity to officiate outside their district, exposing them to different playing conditions and competitions. 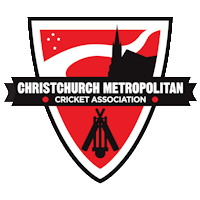 Each district association fulfills all the obligations to club cricket within their own area, while the CRCUSA has responsibility for all other matches, except those under the jurisdiction of New Zealand Cricket.